‘Observing Strangers’ – A wounded Afghanistan veteran contemplates the people he sees in the street. ‘If I Could Talk To The Animals’ – Have you ever wondered what would happen if humans could talk with the animals? It might not work out the way you think. ‘The Deal’ – Can you really get out of a deal with the Devil? Arthur Hager thinks he’s found a way. ‘Louise’ – Eugene is a textbook nerd and he risks everything to be with his one true love. ‘The New Friend’ – Sometimes the monsters under the bed aren’t the ones we have to be worried about. 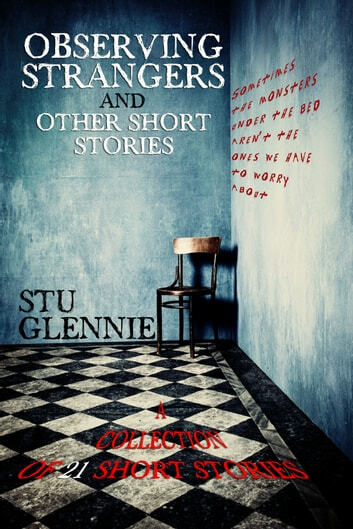 ‘Six Word Stories’ – A collection of stories consisting of only six words each. ‘The Machine Of Death’ – What would happen if someone built a machine that would predict the way you would die with 100% accuracy? ‘Something To Live For’ – When everyone you’ve loved is gone and you’re surrounded by the undead, all you need to keep going is something to live for. ‘The Box’ – If you came home to find a plain cardboard box sitting on your steps, would you open it? ‘The Summons’ – Shunned and rejected by his father for years, he’d been summoned to his death bed. Was this the reconciliation he’d always craved?